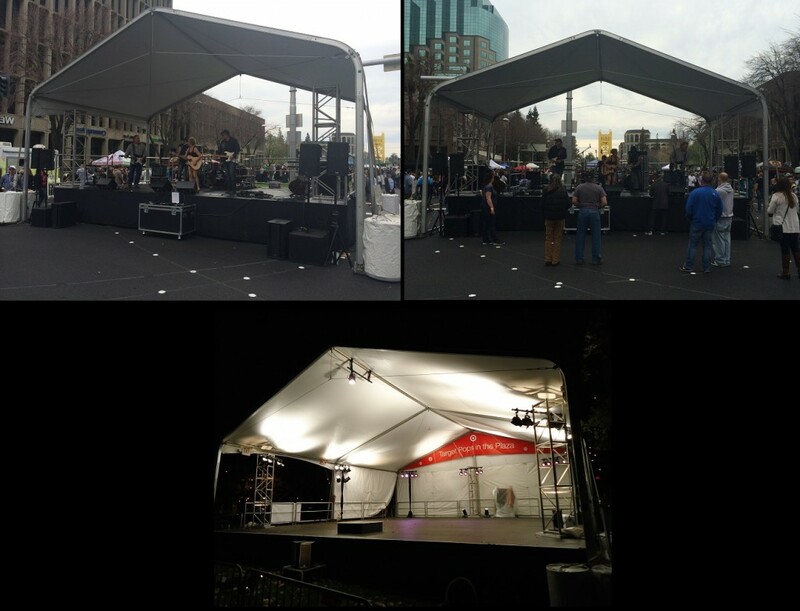 Stage CMDR can design and construct a truss supported shade cover built to spec, rent you our covered trailer stage or refer you to a tent company to provide a tented cover over the stage. Both have a specific use and display a certain look. 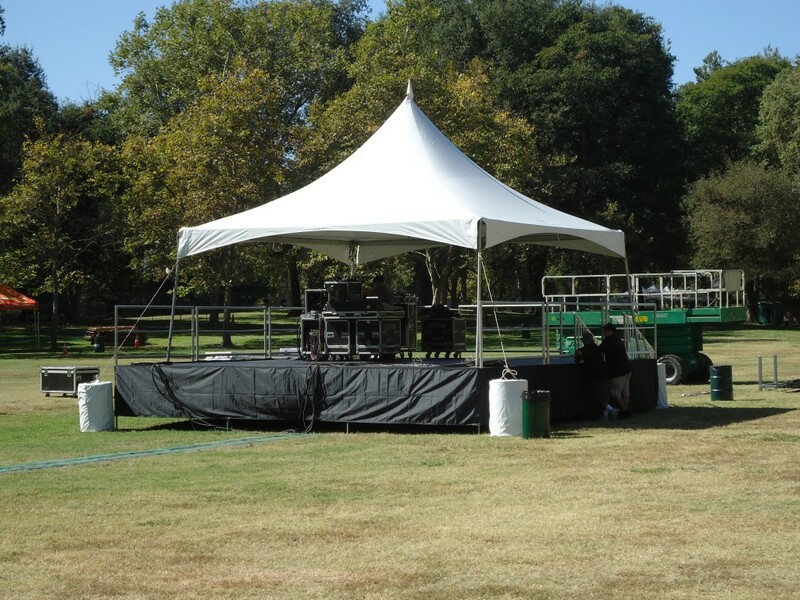 Tents rain proof a stage, truss supported shade covers do not. 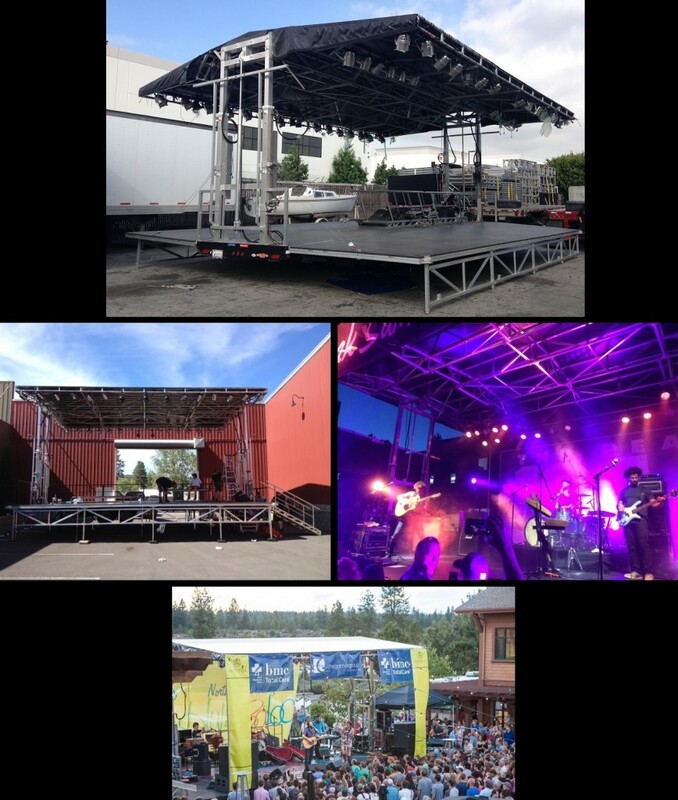 The 32×24 trailer stage does come with a rain proof roof cover. 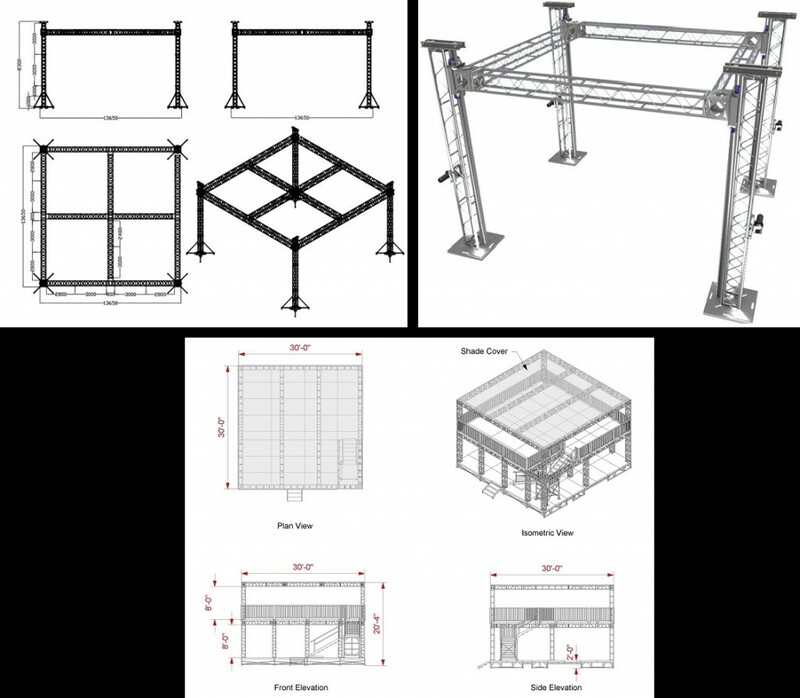 All options available can support lighting equipment.